A "Template" is the content of the emails that are sent to targets. They can be imported from an existing email, or created from scratch. They also support sending attachments. Additionally, templates can contain tracking images so that gophish knows when the user opens the email. 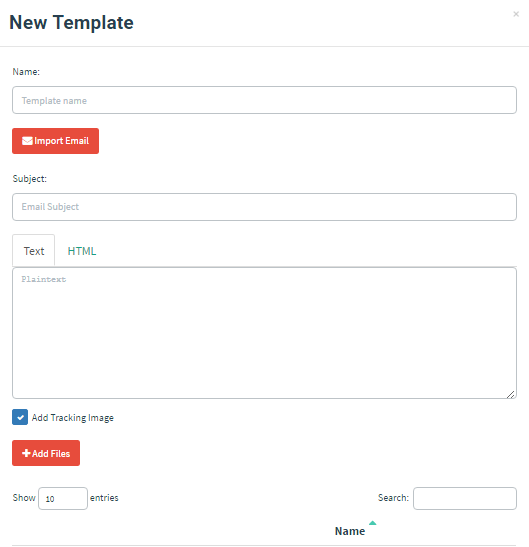 To create a template, first navigate to the “Email Templates” page and click the “New Template” button. A powerful feature of Gophish is the HTML editor. To switch between the HTML source code and the visual view, click the "Source" button. 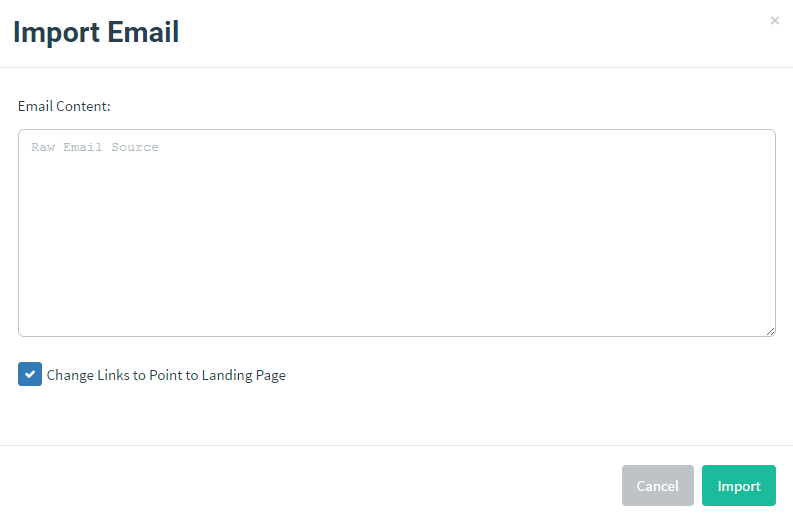 This is helpful to ensure that the email received by the user is pixel-perfect.